The significance of the book comes mainly because, in drawing on psychoanalysis and its impact on film-theory, it also draws from an Indian tradition of both psychoanalytic practice alongside a larger post-colonial theory of, broadly, mental health, more specifically the link between such theory and the condition of the colonial subject. 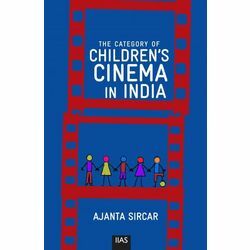 It then links this theoretical legacy onto Indian cinema’s theories around realism and statehood, proposing via a rarely discussed category, that of children’s films, the domain of both a proto-citizen (or not-yet-citizen) – children- and the genre of fantasy, a whole new standpoint from where to think through larger questions of citizenship. Number Of Pages : 169 p.